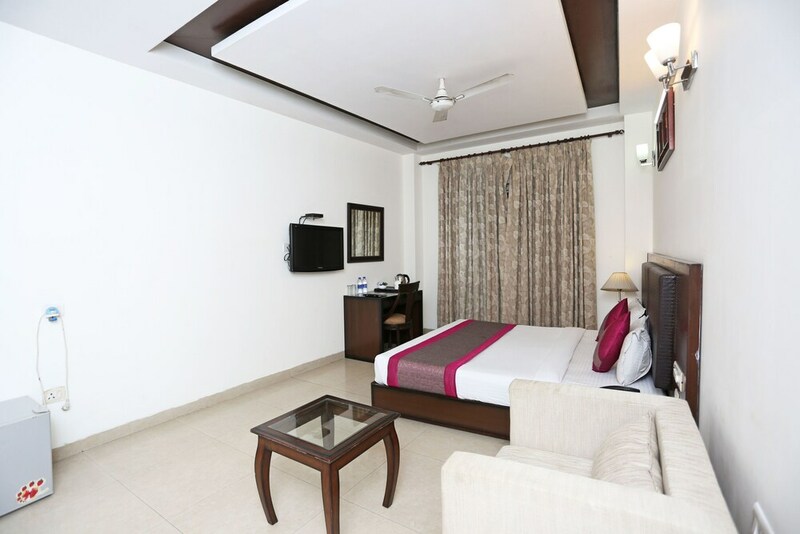 Situated near the airport, this hotel is within 1 mi (2 km) of Worldmark and Aerocity. Nelson Mandela Road and Jawaharlal Nehru University are also within 3 mi (5 km). Delhi Aero City Station is 11 minutes by foot. This hotel features a restaurant, 24-hour room service, and conference space. Free WiFi in public areas and free valet parking are also provided. Additionally, dry cleaning, laundry facilities, and a 24-hour front desk are onsite. All 23 individually decorated rooms feature free WiFi and 24-hour room service. For a bit of entertainment, LCD TVs come with cable channels, and guests can also appreciate conveniences like sitting areas and coffee makers. The hotel offers a restaurant. Wireless Internet access is complimentary. For a surcharge, the property provides a roundtrip airport shuttle (available 24 hours) and an area shuttle. This New Delhi hotel also offers tour/ticket assistance, complimentary newspapers in the lobby, and laundry facilities. Complimentary self parking and valet parking are available on site. Hotel Alpine Tree has a restaurant on site.